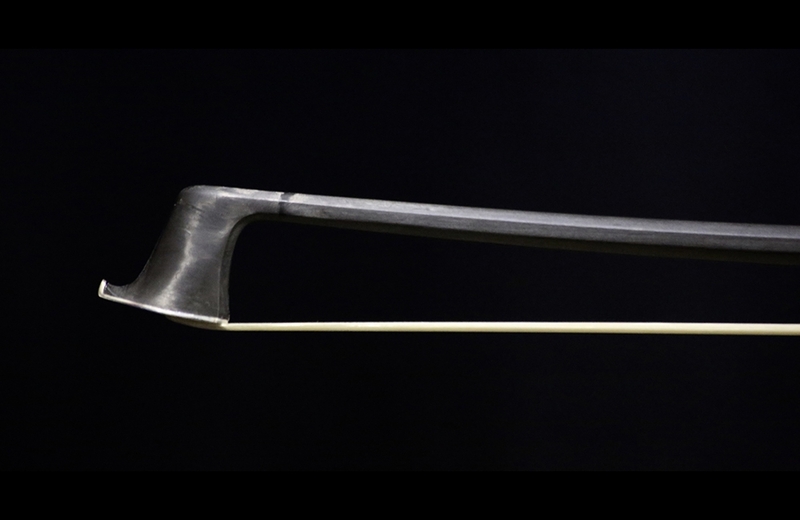 Description: Arcus bows are a light-weight, durable, and strong alternative to a traditional pernambuco bow. 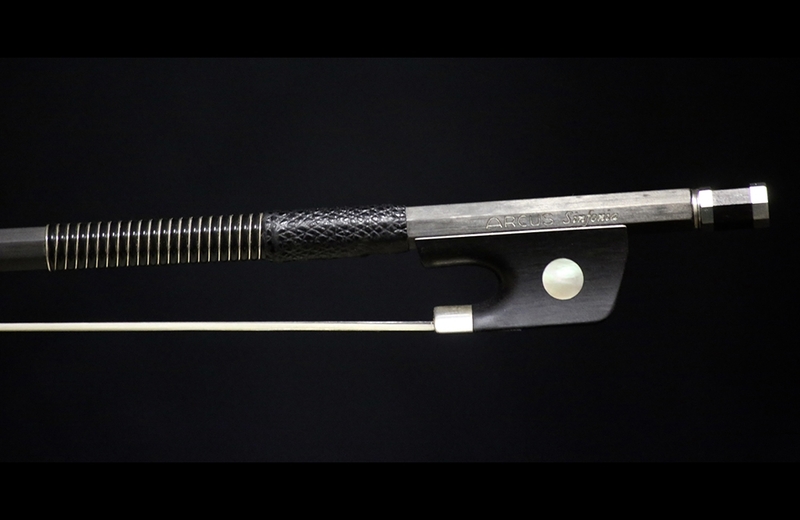 Built for professionals, these bows offer and speed and quality of response that is not possible with a wooden bow. Arcus bows are also made with all Cites compliant materials, which means there is no trouble flying internationally with Arcus bows. 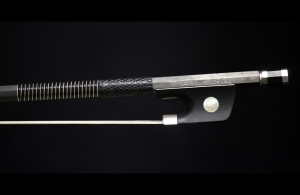 This particular bow is the “Sinfonia” model, and is silver and ebony mounted and weighs a mere 48.5 grams. It produces a powerful sound with exceptional ease and speed of play.